Bsharri Municipality will enlist plant microorganisms to gobble up the pollution in the region’s wastewater, leaders from the area announced Sunday afternoon. 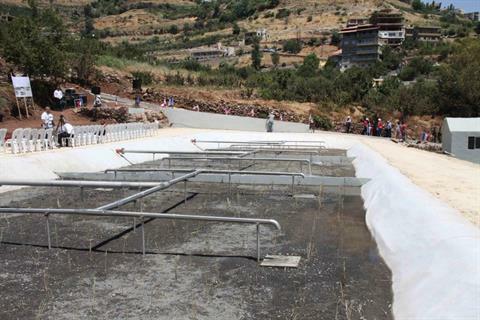 The Model Plant for Sanitation project in Bsharri will test a new water treatment technology, which uses naturally grown microorganisms to treat the municipality’s wastewater. The project was inaugurated Sunday in the Al-Harim area with the cooperation of the Northern Lebanon Water Company by a gathering of political and religious figures. The new sanitation system is part of a bigger project to promote and preserve the Qadisha Valley. “[This] is the first project in Lebanon which adopted a technology that suits the small residential communities in the countryside and fits with the natural environment,” said Nabil al-Jisr, head of the Council for Development and Reconstruction. 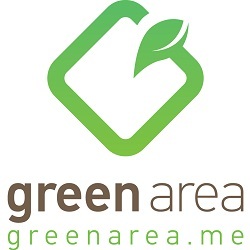 After an initial testing phase, the municipality intends to spread the project throughout the qada. If successful, the technology will also be implemented in other parts of Lebanon through the national master plan for sanitation, Jisr said. Patrice Paoli, France’s ambassador to Lebanon, explained the exact technology, which was developed by the French Development Agency. Common water reeds have the ability to transfer oxygen from their leaves, through their stems and out through their root systems in a gravel bed through which the wastewater flows. That oxygen-rich gravel creates the perfect habitat for pollutant-fighting bacteria. The inauguration begins the first phase in a project that will help alleviate the issues Bsharri faces in treating its wastewater, said Lebanese Forces MP Strida Geagea. The project is part of a wider program to preserve the Qadisha Valley and the Cedars forest. The overarching project also seeks to stem the tide of urbanization which is drawing residents from the countryside to the country’s larger cities, Geagea said. The project was made partially possible by the contribution of Shafiq Tabet, who paid out of pocket for the land that will house the new water treatment plant, Geagea said. Geagea also saluted the head of the French Development Agency, Doni Kasa, for his support for the project, noting that the project was financed by the agency and AFD Company, which contributed 500,000 euros ($664,000). Jisr reminded attendees that Bsharri Municipality houses historically significant sites that the government should work to preserve. Source: The Daily Star – July 29, 2013. Page 4.